A new-age housing solution that allows you to live a blessed lifestyle as par with of the ultra-luxury golf resort. 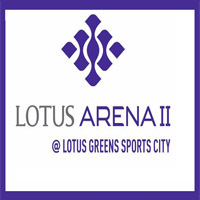 We are talking about Elite Golf Greens, the newly launched high-rise housing complex of Elite Group at sector-79 Noida. The Elite Group is a Delhi NCR based joint venture of HR Buildcon and Oracle Real Teach Pvt Ltd. An incredibly planned residential space offers you precisely crafted 2, 3, 4 and 5 BHK premium apartments with 1215 sqft - 2715 sqft size options. All planned apartments designed to provide a superior standard living experience and bundled with world-class recreational amenities. Elite Golf Greens Noida conceptualized to deliver a matchless urban living experience at very reasonable prices. 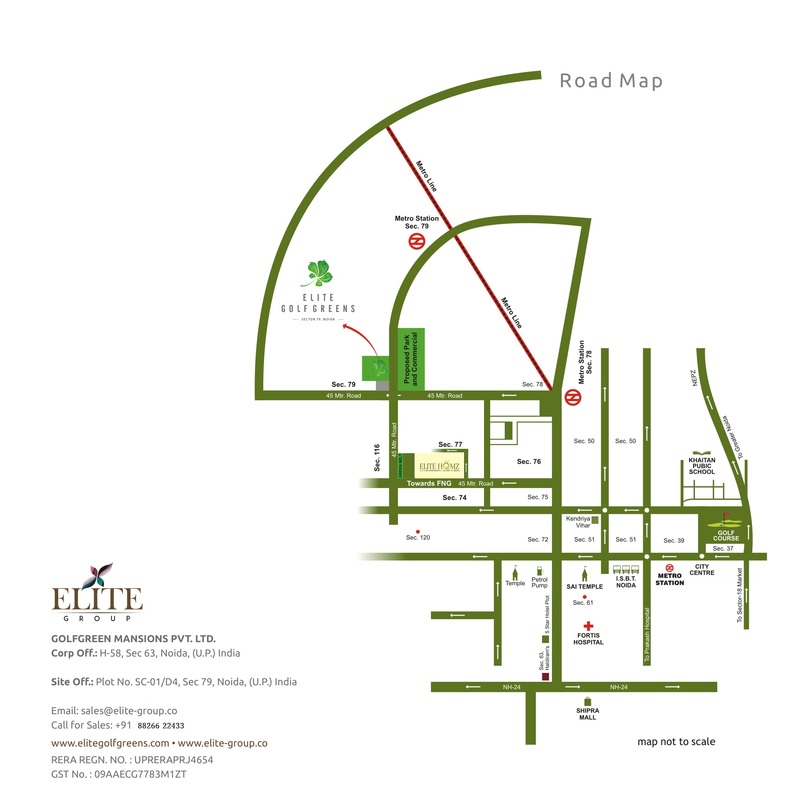 Elite Golf Greens promising you an Elite class living which is strategically located in the Sportscity township of Noida. Here, every unit transform into an aesthetically captivating space bears the best design and style elements creating your long-cherished dream home. 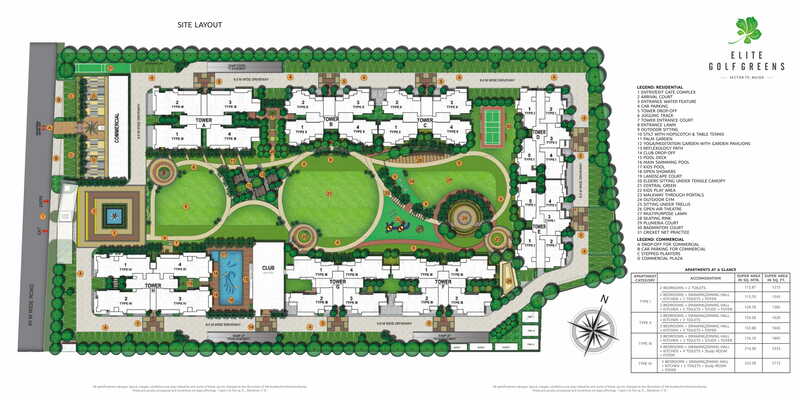 The layout planning is done in a specific way that maintains absolute privacy between the residents and visitors. 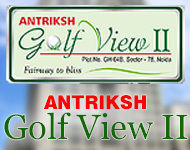 Golf Greens is special because here every flat is a corner flat apart from eco-friendly and Vastu compliant. It has palatial balconies directly opening towards picturesque greenery producing a luxurious and calm atmosphere of the ideal home. The showpiece of modern housing architecture consolidates with all elements of world-class living, all sort of luxury amenities and surrounded by a lush green landscape. Elite Golf Greens designed to deliver a pleasure rich living experience where one can get an endless stream of recreational facilities for every age-group. It has a detailed catalog of features complimenting your lifestyle such as more than 75% open free area, pool deck, palm garden, and drop-off lobby in each tower. A grand entrance passing through the rich green belt and artistic fountains, high-speed lifts, convenient shopping center, ample in-house car parking made life easier. Further, the provision of round the clock 3-tier security system, 100% power reserve, continuous water supply and piped gas facility is an added advantage. Sector-79 Noida location is another biggest positive aspect of Elite Golf Greens which is one of the most popular residential hubs of Noida region. The project lies in close proximity of sports stadium thus having a home around vast stretch greens of a stadium clearly visible from balconies is a blessing in metro cities. Availability of modern commercial complex next to the entrance of residential towers is highly convenient. All those want to live a luxury, peaceful, comfortable life with your family Elite Golf Greens is your best choice.